Come see four American Tug 34’s – all on the same dock! 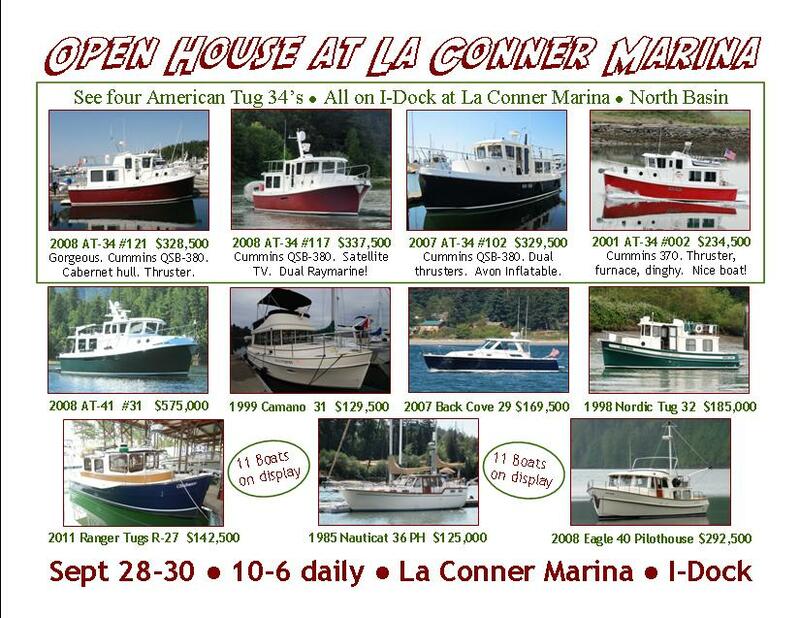 We have eleven boats on display, come to the Open House! Directions: Head west on SR-20 from I-5. Turn south on La Conner – Whitney Road. At the traffic round-a-bout turn west into La Conner on Morris Street. Turn right on 3rd street and go past the South Basin of the Marina to the North Basin. Park near the Port building and look for us on I-Dock. Call me if you have questions at 206-321-2164. We hope to see you this weekend at the Open House!